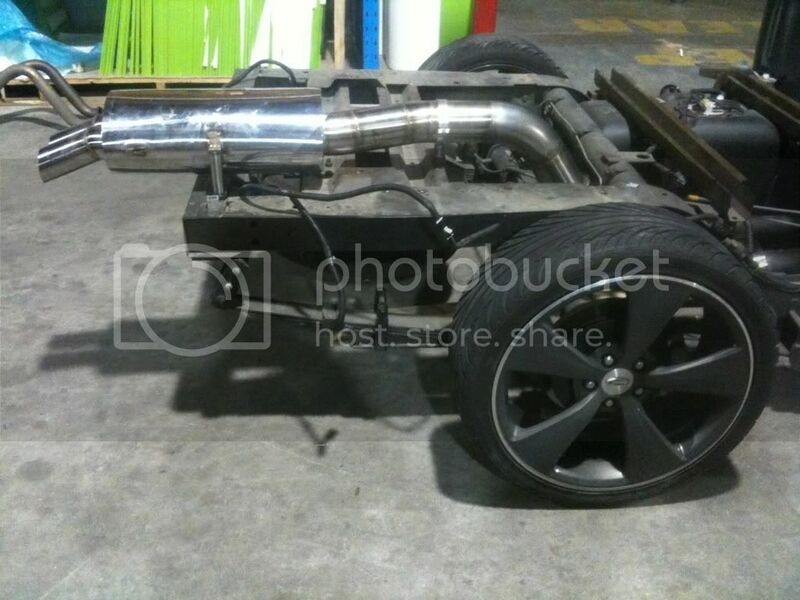 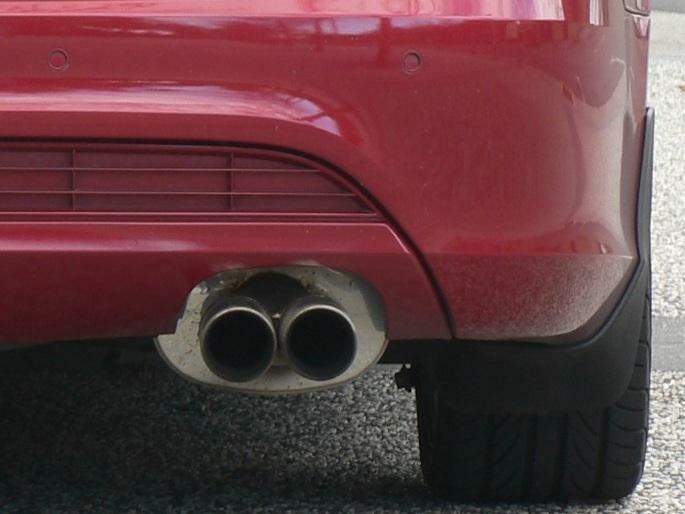 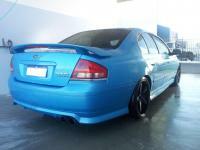 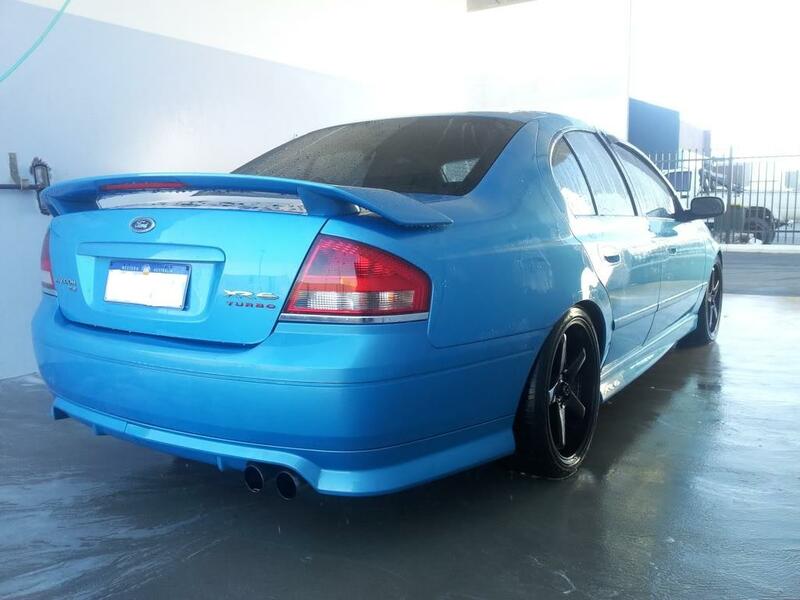 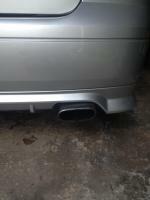 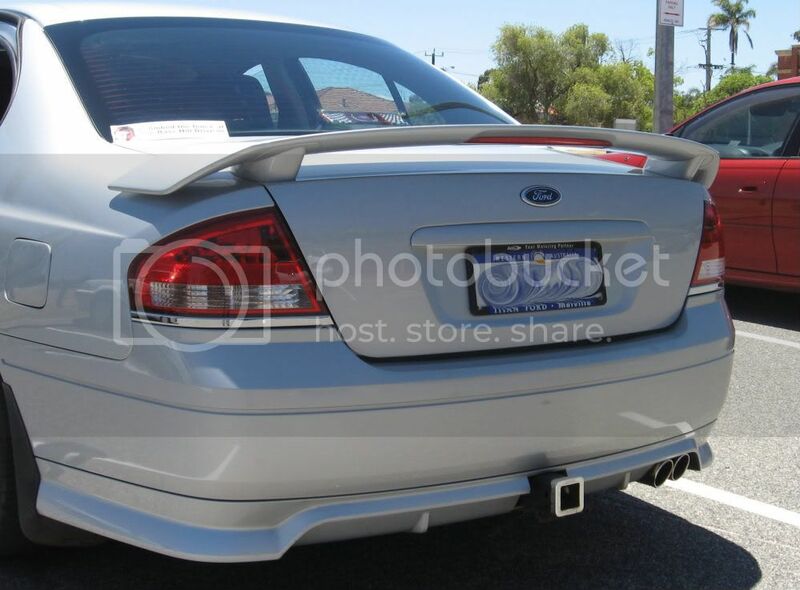 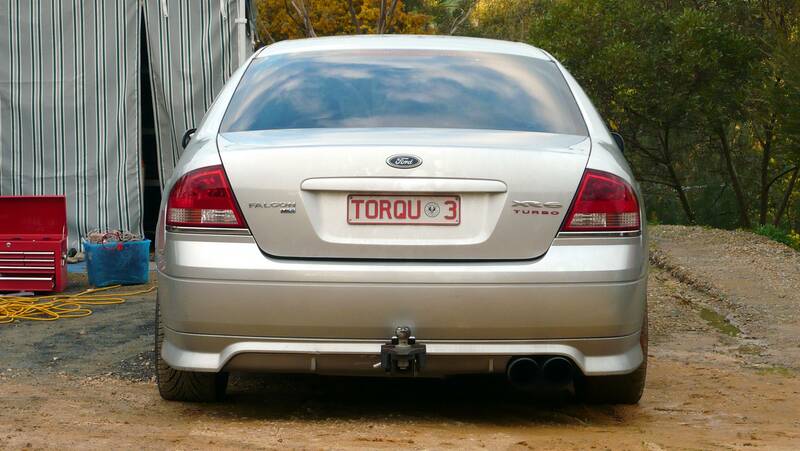 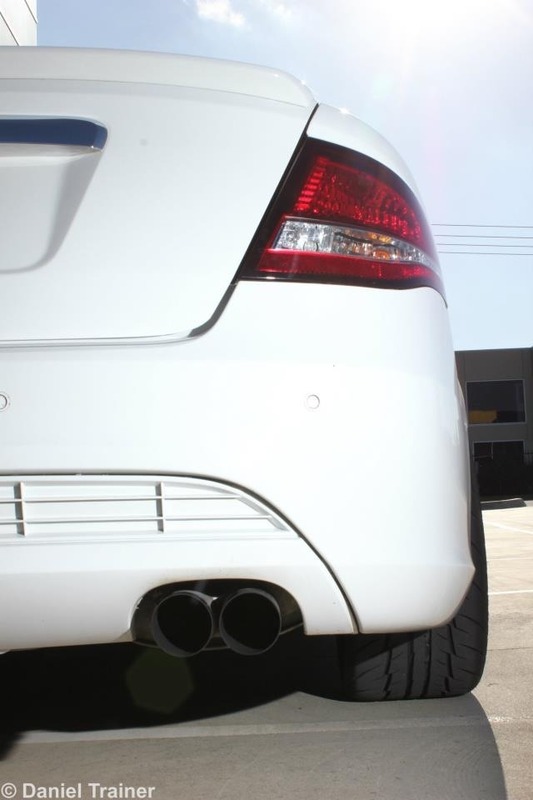 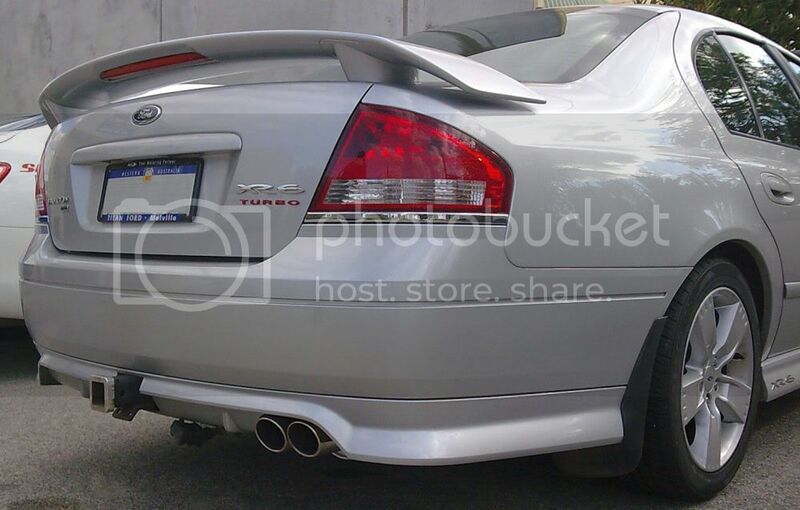 Per topic, wanted to get some ideas for ditching the stock oval FG XR6 exhaust tip. 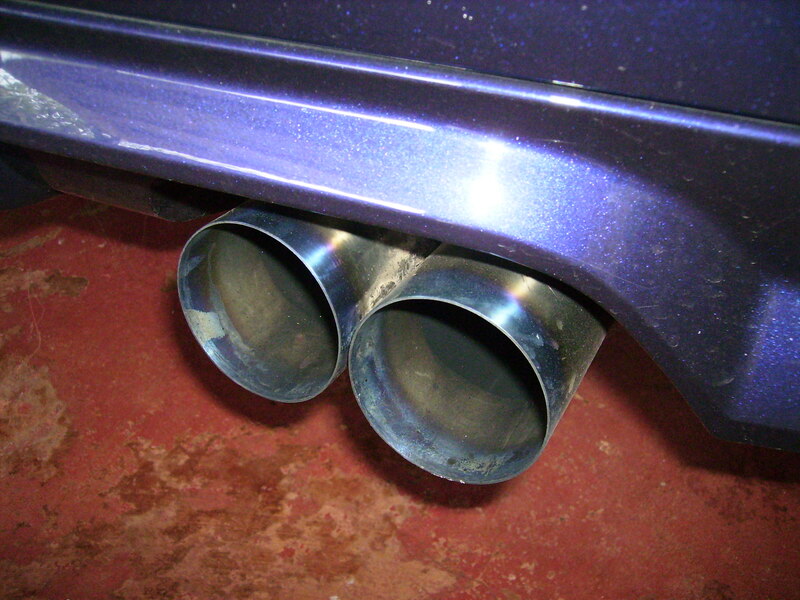 Was thinking of twin dump tips but not sure if they'd suit. 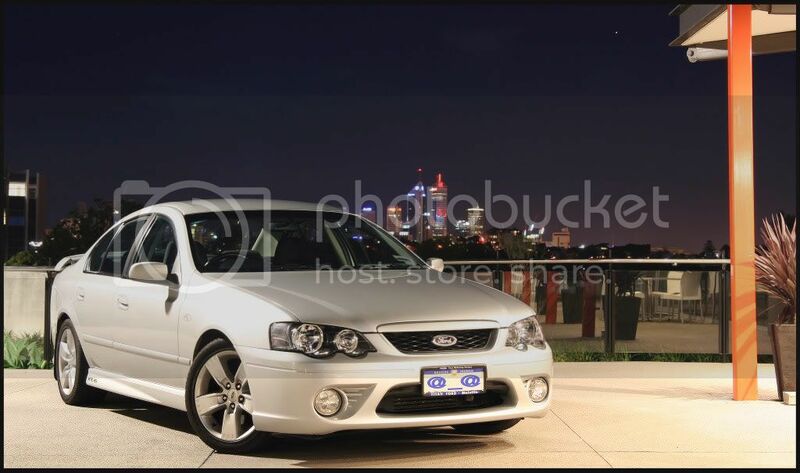 Keen to see your tips, so post away. 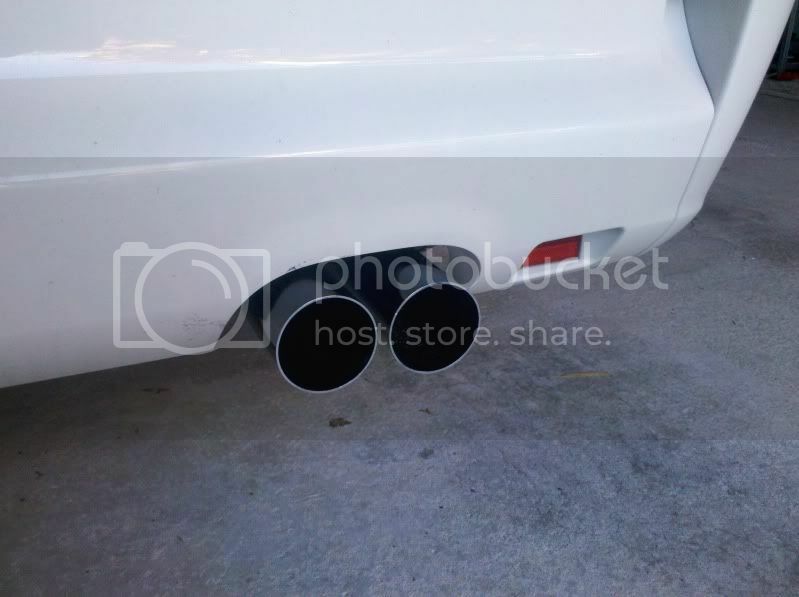 This is one letter off being a potentially awesome thread..
Best picture I've got of my exhaust tip, 3.5" single with no rear muffler. 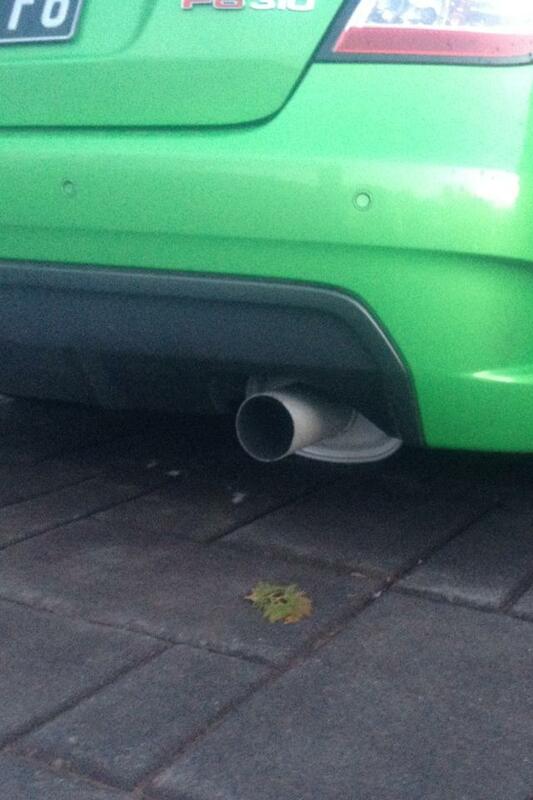 Only problem it keeps melting the bumper. 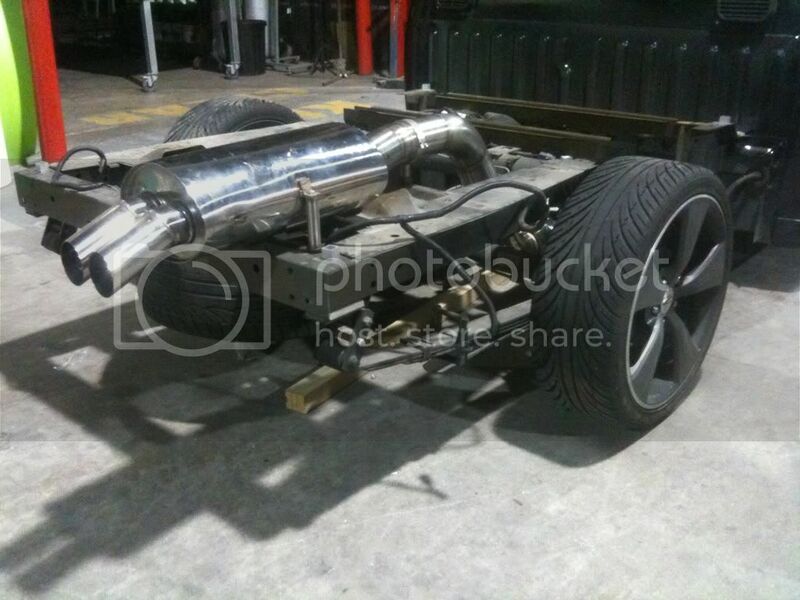 This is the show us ya pits thread right? 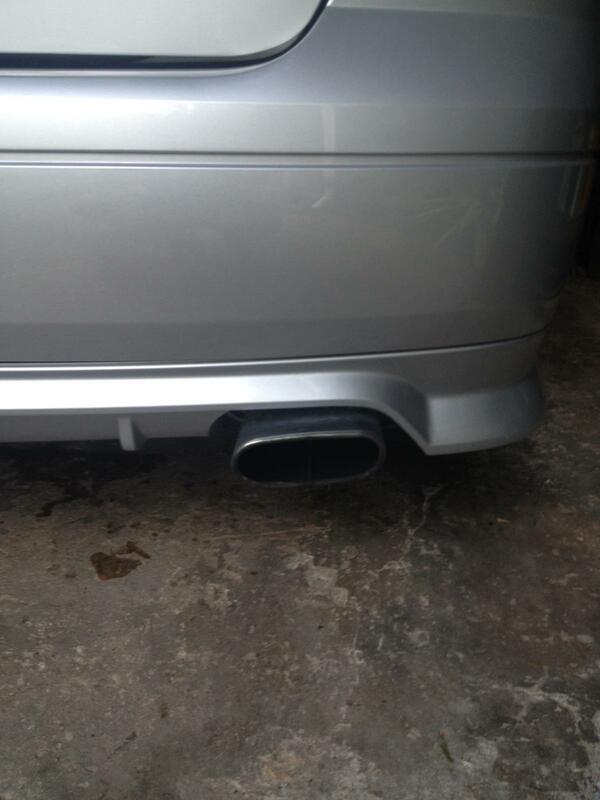 We might want to post up the exhaust make as well to those who like what they see. Mine is a Manta system, 2x2.5" to be exact. 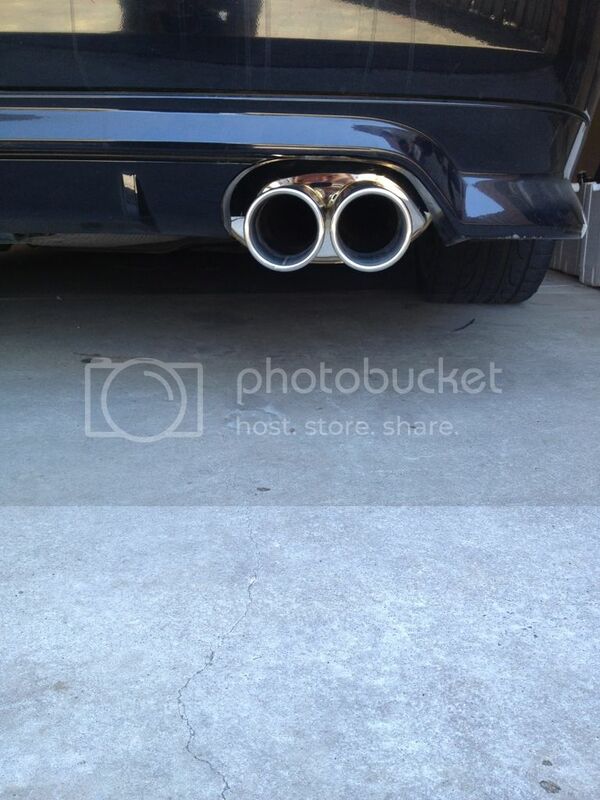 The tips are twin 3". 3.75" dump, twin 3.5" cats, redback mild steel twin 2.5" with twin 4" tips.